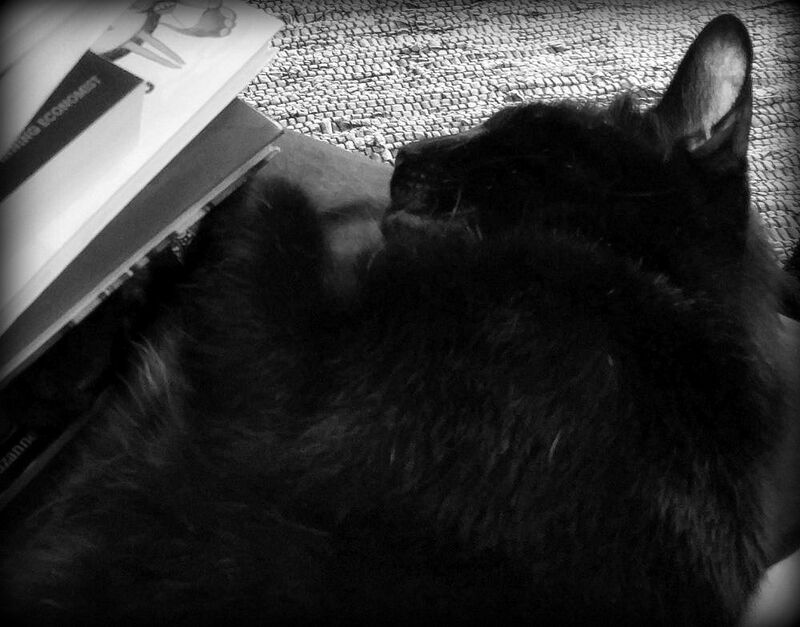 Tips for pretending you’ve read a book. “The Dumbo octopus is eight cute legs of stone cold murder“. McMansion Hell and fair use. “Volvo’s driverless cars can’t figure out kangaroos“. John Oliver on science and vaccines. “Why is there a Kmart in Minneapolis that blocks an entire street?” I ask myself this every time I’m unable to drive up Nicollet Avenue from Lake Street. 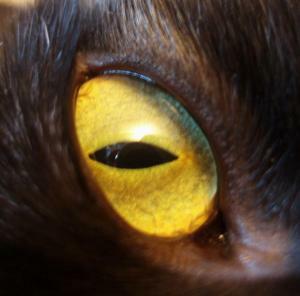 “6 things the US government is doing that supervillains have also done“. New photos of the Mount St Helens eruption. Strawberry spinach salad with berry dressing. Take a tour of the House on the Rock. Lamps where you do not expect lamps to be. And an addition to my neighborhood. Music video for “Immigrants (We Get the Job Done)”. “UPS deliveries by golf cart now legal in Kentucky“… alrighty then. “Strapping dressers, bookshelves, lamps, cleaning supplies, a tv, and a bike to your minivan will probably get you pulled over“. NSFW Cake Wrecks and superheroes. 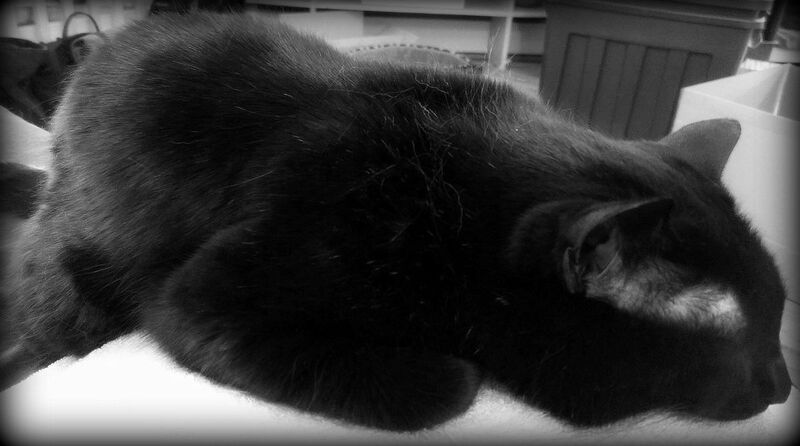 Darth Chat Noir, I presume? Baby sea otter! Andean bear and baby! Southern pudu and baby! Baby Mexican grey wolves! 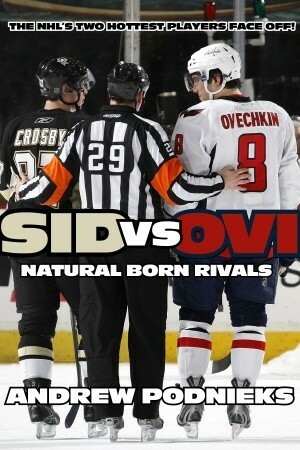 Sid vs Ovi: Natural Born Rivals by Andrew Podnieks. So-so comparison of Sidney Crosby and Alexander Ovechkin from their rookie seasons in 2005-2006 through June 2011, focusing on their games against each other. The book was definitely biased toward Crosby and painted a pretty unflattering picture of Ovechkin. I mean, I prefer Sid to Ovi myself, but… Pretty sure I told the book, “You aren’t even trying” more than once. Getting paged for work really ate up my evening and my linkity making time, so I’m cranky and going to see how much linkity I can manage in 15-30 minutes. Ready. Set. Go. Teaching kids how to spot fake news. Girl Scouts are going to be able to earn cybersecurity badges. A look at some of the new foods that will be at this year’s Minnesota State Fair. The sorcerer and the dragon. The red strings of fate trope taken in a great direction. Learn more about the flapjack octopus. 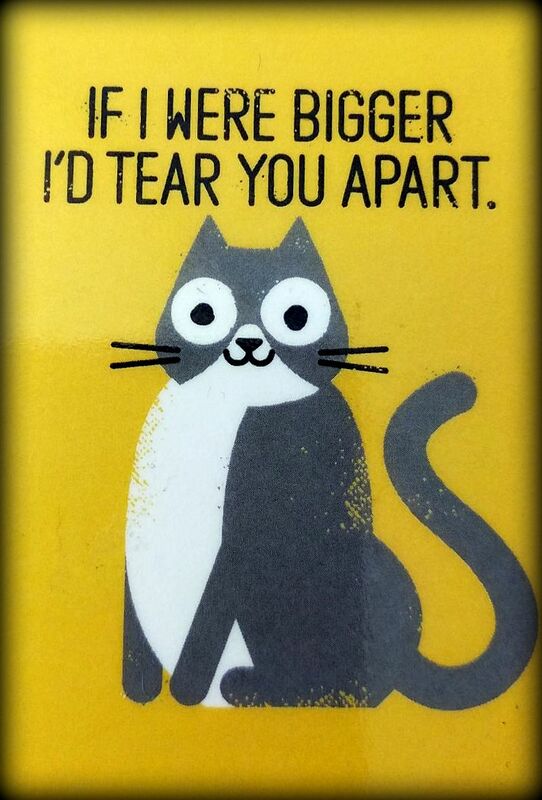 “How cats conquered humans thousands of years ago“. 19 patterns for crocheted bookmarks. 8 Wonder Woman-inspired knitting and crochet projects. Knitting linkity from kmkat. 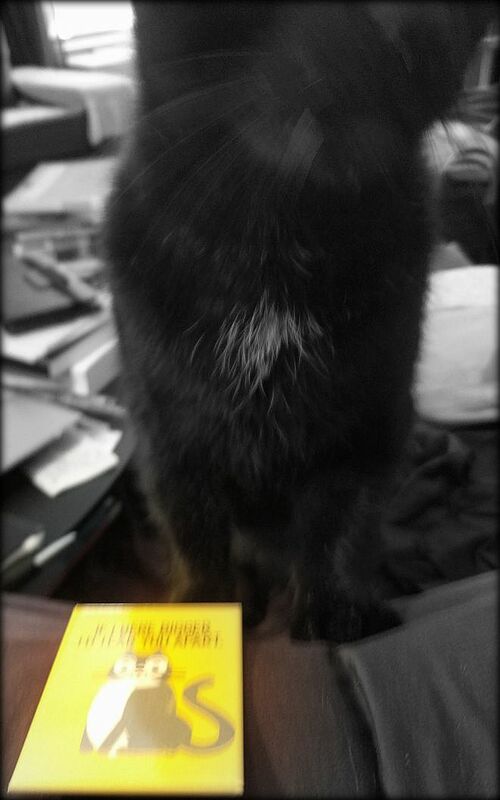 And non-knitting linkity from kmkat. There are 15 new “Ken” dolls coming out. “Twitter is having a hard time accepting the new man-bun-sporting Ken doll“. GF banana blueberry muffin cake. Canada lynx and babies! Bat-eared fox and babies! Cheetah and babies! Ombré sunshine yellow tetrahedron wings. Cute detour alliteration paint chips. Blodeuedd’s giving away a copy of Wolf Unleashed by Paige Tyler. (Read the details on what your comment needs to contain to enter.) Closes June 18. US only. The maps behind the “Choose Your Own Adventure” books. “This is what a librarian looks like“. Neil deGrasse Tyson has won the Stephen Hawking Medal. Another perspective on the EWG’s yearly good/bad sunscreen lists. “How to find free and safe public wi-fi“. No-chop cold veggie noodle bowls with soy lime vinaigrette. Make-ahead chicken and veggie chopped salad. 20 dinners that won’t heat up the kitchen. The impact of the new Wonder Woman movie on kindergartners. The former President of Mexico has a message for tRUMP. Minnesota: “We have the biggest puddle”. Baby tiger! Baby clouded leopards! 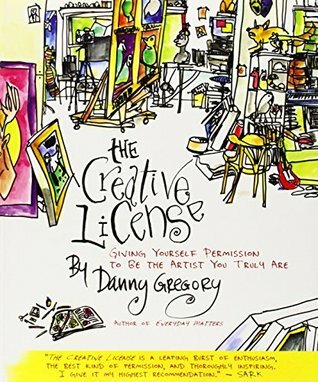 The Creative License: Giving Yourself Permission to Be the Artist You Truly Are by Danny Gregory. While I didn’t always agree with the author, it was a good, thought-provoking book on using drawing to bring more creativity to all aspects of your life. It definitely got me thinking and writing about some deeper things. 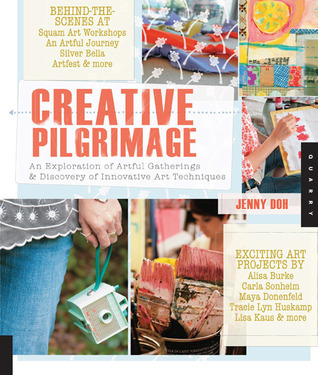 Creative Pilgrimage: An Exploration of Artful Gatherings and Discovery of Innovative Art Techniques by Jenny Doh. Ok but very repetitive overview of various instructors from mixed media art retreats. Not something I’ll bother rereading or referring to again.